A former insurance company employee has been sentenced for defrauding 32 clients, he was ordered to pay over half a million to refund clients. Francois Marinus Labuschagne, former Sanlam financial advisor, was sentenced by the Bellville Commercial Crime Court on Monday after being convicted with multiple charges of fraud and forgery, according to a statement from the Western Cape division of the Hawks. He was arrested in Louis Trichardt, in Limpopo, on January 15, 2017. This followed a six-year investigation into fraudulent activities at the Ceres Sanlam branch between August 2007 and January 2010, the Hawks said. 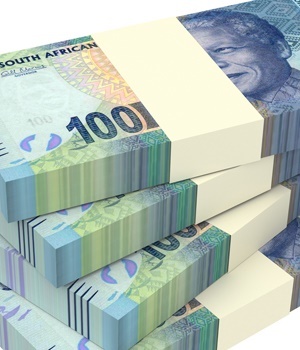 Labuschagne had defrauded over 32 clients of their savings which amounted to over R650 000. According to the Hawks Labuschagne convinced his clients to withdraw a portion and or full benefit from their investment portfolio and claimed he would reinvest it on their behalf with guaranteed higher returns, but instead used the funds for "self-gain". Captain Philani Nkwalase told Fin24 by phone that Sanlam had refunded clients, by deducting R500 000 from Labuschagne's pension. He is to pay the outstanding balance through instalments. Labuschagne's 10-year sentence was suspended for five years on the condition that he is not found guilty of similar offences, the Hawks said. He has also been sentenced 36 months of correctional supervision.